Social media channels are constantly changing and adding new features-so often that some of these apps are almost indistinguishable from one another. We use Instagram to display our more “professional” and “artistic” sides, and we use Snapchat to let loose and share silly photos (filters included) with our friends. We find out about the news using Facebook and Twitter and it’s on those platforms where we keep in touch with friends, or bicker about politics. 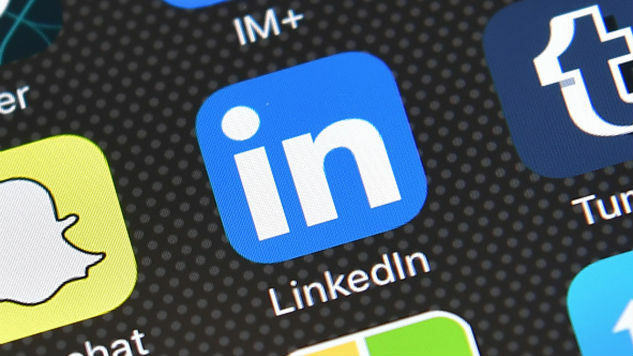 LinkedIn may be the one social network that continues to stray on the sidelines, generally sticking true to its mission of connection professionals. Though it’s not for everyone (some people absolutely love LinkedIn, whereas others hate the idea of it) there is something to be said about how LinkedIn stands out from other social channels. If you use Facebook, you’re used to being able to “like” a page for something you’re interested in. For example, you can be a fan of “gardening” or “screenwriting” or a specific cause. Where on Facebook you are really only able to connect with people who are also fans of this same subject, LinkedIn has a variety of groups where professional in these related fields can connect with one another. In example, I am part of a “Screenwriting” group on LinkedIn where I can talk to experienced writers. This is way more useful and interesting to me compared to other groups I’ve joined on Facebook, where I’m primarily interacting with young people who, like myself, are interested in the idea of screenwriting, but do not have much, if any, experience as an actual screenwriter. But the pro to being in a group on LinkedIn is that I have access to over 11,000 members who are available for questions and advice. Moreover, most people in this group are passionate about their career and this subject, so not only are they active in the group, but they also are credible sources. Social media doesn’t have to just be about all fun and games-and those who are successful influencers know just how much one can profit if they know what they understand data and can grow a following. LinkedIn actually wants to help you build your own brand and be seen as an influencer by your peers and other LinkedIn members, which is why it now offers LinkedIn Learning tutorials. LinkedIn only recently launched its Learning feature back in September of 2016. Essentially it combines the content and courses you get on Lynda.com with the social networks professional network, meaning, you’re getting personalized experiences to help you develop new skills. One of the best features that enhanced LinkedIn since its first launch is their publishing platform. With a sleek interface that both looks good and is easy to navigate, LinkedIn makes it really easy for you to share your own content with your network. Personally, I love LinkedIn’s publishing platform because of how it lets you make your post fit your own personal brand. It’s really easy to add and resize multimedia, so you get that sort of Medium-like aesthetic all built into the LinkedIn publishing platform. Moreover, you can use the feature just to share a snippet of a blog and link out to it, or, you could use your LinkedIn as a professional blog and it would look very professional, which helps bring in more readers. Lastly, LinkedIn makes it super easy to share your content on both Twitter and Facebook, which is helpful for referring more people to both your professional page and post. You’re not going to find a job on Facebook, Instagram, Snapchat or Twitter. And, in most cases, the messages you get from strangers regarding so-called “money-making” opportunities usually are spam or well, scams. I used to think recruitment on LinkedIn didn’t actually lead to any real opportunities—until some coworkers and myself were actually recruited through LinkedIn. The LinkedIn recruiter tool is extremely useful for companies who want to find high quality talent and quickly be able to search through hundreds to thousands of applicants or potential recruits. When I was recruited, I received a message from a recruiter and set up a phone interview. I eventually received an offer from a company, and even though I declined it, the whole process was streamlined, professional and the job was actually in my area of interest. Sure, having an Instagram, Twitter and Facebook account are necessities for any business in today’s world, but, such social accounts are more about connecting with fans than connecting with professionals. From a business perspective, LinkedIn is much more useful than other social networks because it allows business owners to recruit prospective employees, advertise with specific targeting outreach, and, especially if you’re a small business or startup, connect with potential investors, mentors or advisors. Say what you want about LinkedIn, but the possibilities and opportunities that it presents for both individuals and businesses is almost endless. Where other social networks either take themselves too seriously or not serious enough, LinkedIn has always been about having a professional presence online, and it truly does the best job at remaining true to itself and giving consumers exactly what they want out of a professional, social network.